It seems like more people than ever have jumped on the dry January bandwagon. For those of you who aren’t aware, dry January is pretty self-explanatory: not drinking alcohol for January. It falls in line with New Year, New You, and all sorts of resolutions that are meant to last a year but are lucky if they last a week. I’m a firm believer in moderation and finding the middle ground. In pursuit of that middle ground, find a way to drink healthier. Toss out the Coca Cola and the processed cranberry juice, and grab the juicer and some fresh veggies. Vegetables are an important part of a balanced diet, after all, and make you feel strong like Popeye. 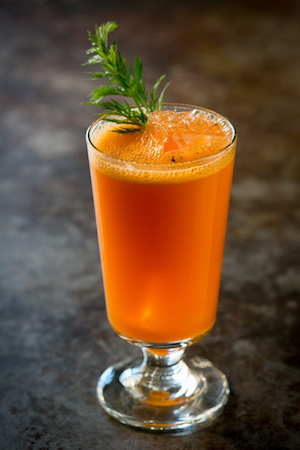 Fresh vegetable juices can taste delicious, and are a pretty simple way to make a scrumptious cocktail. These four drinks definitely have a wholesome touch, sprinkled with a moderate dosage of alcohol. Directions: Shake and strain into a coupe. Carrot and cucumber for garnish. Directions for infused vodka: In a clean glass jar, pile lemon peels, fresh mint leaves, and cucumber slices (cut in half and remove seeds from slides) about 1/3 of the way up. Add plain vodka. Seal with lid and let sit on the counter for two-three days. Lightly turn and shake the bottle a couple times a day, then strain vodka to remove pieces and store in the fridge. Directions: After the vodka has infused for three days, combine ingredients in a shaker with ice. 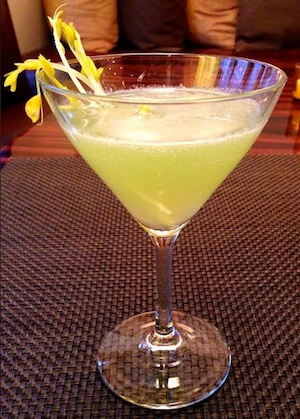 Shake until cold and strain into a martini glass. 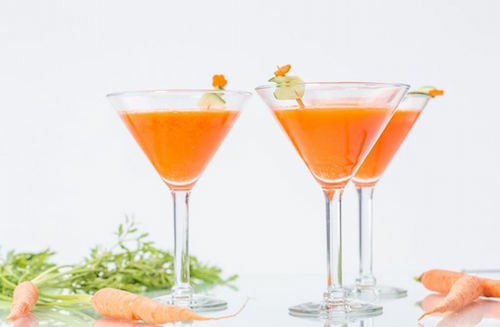 Garnish with carrot and cucumber. Directions: Combine all ingredients in a shaker with a scoop of ice. 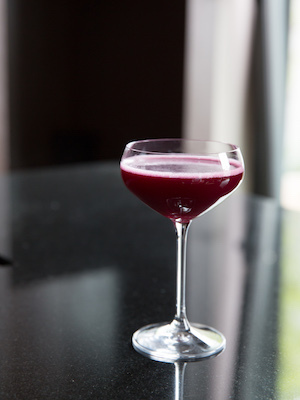 Shake furiously and strain into a chilled coupe or martini glass. Garnish with a pea shoot.